I am not going to be conceited and over confident about being a great DJ. There are thousands of great DJs in New York City. Nowadays, anybody can DJ with the technology that is out there. There are auto bpm sync features built into almost every new mp3 midi console and my Ipod and Ipad. Mixing music is already done for you. I feel that being a great party DJ is having extensive knowledge in reading the crowd and making great song selection. I can scratch and mix almost any type of music regardless of the bpm and tempo. I can blend tempos that are so slow and make it go with any speed manually without using the auto sync feature. I am extremely creative. I grew up using vinyl records and 2 Technics 1200 turntables so these new features are still new to me because I haven’t used it yet. That’s cool, but when it comes down to being a great party DJ, it is all about song selection. When somebody hears their favorite song, it bring great enjoyment and pleasure to that individual that it can move them emotionally and physically. The results is dancing. When I play music in an event, I look at the crowd and see what moves them. Sometimes I can have a difficult crowd and no matter what song I play they don’t move no matter what. What do you do in this situation? I will personally coordinate with the guest of honor of the event. The guest of honor will choose a few songs to play and they will have to grab the party goers by the hands and force them to dance. Hey, this happens in some rare cases. Sometimes you have to do what you have to do. In most cases, there will be a song that just gets them going. Observe the crowd and carefully play different genres of music in proper transitions and see what the majority of the crowd likes. When you see a majority of the people dancing, than you stick to that genre for a moment and play nothing but number 1 hits. What are number 1 hits? I research the Billboard Charts to see what is hot if I have any questions about that musical genre. I’ve been DJing for a long time so I have a great understanding of what are the hits in most genres. My motto of playing music is be picky and play the hottest stuff. Don’t hold back. You only have a few hours to entertain, so you will definitely not run out of music. Play songs that people can sing to regardless if they are young or old. Some songs are good, but there are some that are crowd favorites and a great sing-a-long. To be a great party DJ, the first thing you have to do is organize your music library and separate the best of the best in each genres and make individual playlist for each genres. 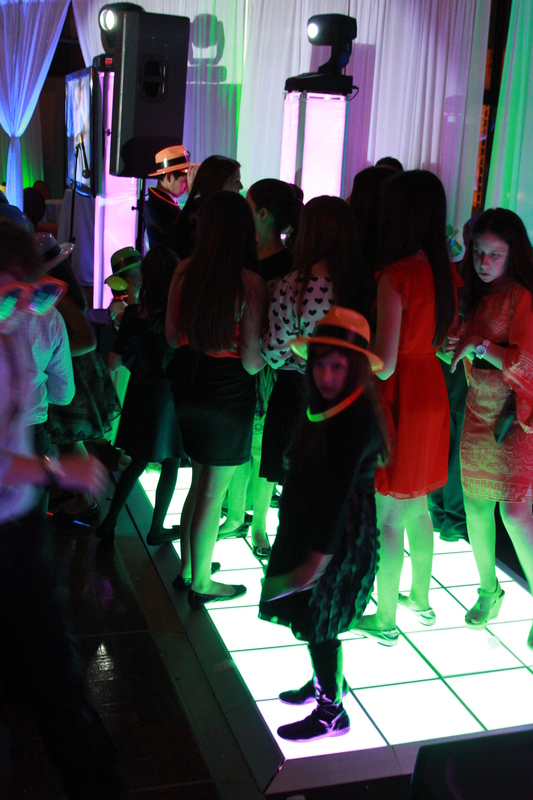 Practicing routines are great but a majority of the time party goers will ask for requests throughout the night. Be prepared and practice as much as you can. If you have any questions, or if you like to book Stukwan Entertainment for your next event email me at stukwan.ent@gmail.com . Have a great day and party the night away. Good luck on your journey of becoming the next great party DJ. hassan Posted on You can name your blog on your own name like miror, one thing more, you should name it acrdcoing to your interest. Hello my family member! I wish to say that this post is awesome, nice written and include almost all vital infos. I’d like to peer more posts like this . e.l Posted on For one thing unless they’re puilsbhed you mean writers’.Only you can decide when, as it needs to fit round you and your members’ schedules. I simply want to tell you that I am new to weblog and absolutely liked you’re web-site. More than likely I’m likely to bookmark your blog . You actually come with terrific posts. Appreciate it for revealing your blog. This website online is really a stroll-by for the entire information you wanted about this and didn’t know who to ask. Glimpse right here, and you’ll undoubtedly discover it. I just want to mention I am just very new to blogs and actually enjoyed your page. Almost certainly I’m going to bookmark your website . You surely come with beneficial article content. Thanks a lot for revealing your web site. Awesome website format! I’m very happy when I read a good share on the webspace. Thanks for this and I hope you will share more great content in the future. Fairly nice submit. I just stumbled upon your weblog and wished to say that I’ve really enjoyed surfing all around your weblog posts. In any event I will be subscribing to your feed and I hope you jot down again very quickly!